After my mother was diagnosed with Alzheimer’s the family dog became her service dog and after her death, he became my service dog. He served our family for 12 years before dying from a reaction to one of the spot flea treatments. Kody was 80% wolf. There are no fleas in the Arctic so most arctic wolves are allergic to fleas. He almost died from this allergy, so against my better judgment, I started giving him spot flea treatments. He survived 4 treatments until he was no longer able to walk. After his death, I did some research and found diatomaceous earth. Farmer’s have been using it for over one hundred years on farms animals to control internal and external parasites. Other cultures have used it for over 3000 years. The use of DE has too many benefits to list here but you can read about it on the blog section of our company website, www.fleafreeorganically.com. We use Canadian DE because it has more Calcium Bentonite which is a Nutritional grade, (one grade above food grade), which acts as a de-tox for parasites, heavy metals and even treats and protects against radiation. FDA (gras), USDA and is also listed in the international food codex, as safe for human and animal consumption. You can keep you your family, the earth and you best friends happy, healthy and flea free organically…for life. Kody’s not here to benefit from Flea Free Organically but you, your family and your pets can. It comes in a powder and can be added to food or you can give it to dogs in a treat form, Mutter Butter is an all organic treat made with coconut flour, turmeric, and other healthy, organic ingredients. Because of health issues, I had to let the business slide. After several operations, I am attempting to reorganize it. This web page is about animal and human health, exclusively. I’ve had a lot of problems and health issues in the last three years and lost most of the company, but I am not giving up on providing ‘Protection Products’ for animals and their people. My hope is that I will never need to provide ‘Protection Products’ to protect us from the deliberate poisoning from our own government again. My hope is that Bernie, will put me out of business. 15% of the farmable land is depleted of the diatomaceous earth because of misuse and poor farming techniques. I have worked for 8 years to get Diatomaceous earth to people and I have accomplished that. 8 years ago, no one knew about it, now it is in every pet store and garden shop. I have educated people of its properties in Europe, Australia, and even Latvia. Some gardeners, farmers and equestrian Vets may have been aware of it but not its inexhaustible benefits. I can’t do the Farmers markets anymore because of health issues but my hope is that if I can get a truck or van with wrap-around advertising that I can gain the visibility that was lost when we stopped going to the farmer’s markets. The ideal truck is the Ford Transit. Used is about $19,000. Mutter Butter Treats: Made with Nutritional grade (one grade above food grade) Diatomaceous Earth….NOW…with just a treat a day, your pet can be happy and healthy for a lifetime and save money from trips to the Vet. The formulation uses new micelles, colloid based nano-technology – made from a unique combination of plant extracts – a colloid based non-toxic, industrial de-greaser, and is NSF approved. In addition, it can be used to aerate and amend soil. you can even put a few drops in your pets and your drinking water to reduce Nitrates and Nitrites. Even though is is digestible by pets and humans it kills bugs on contact. All Flea Free Organically products have multiple uses. If we get the business working again we will be adding proprietary pro-biotics for cats and dogs as well as a healthy mushroom blend ( for people) with the healthiest of mushroom for much less that what you buy in any store. Tower Garden ® eliminates the need to till, kneel, pull weeds, get dirty, or battle ground pests. 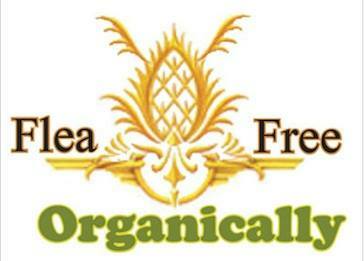 · This means FREE FOOD for a family of 6, in 4sq ft.
· It means safe organic super food. · It means nutrient dense food. There is also a donate button on the front page of this website.